Radio Juvenil live broadcasting from Managua, Nicaragua. 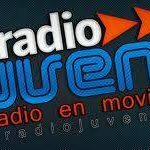 Radio Juvenil program in Spanish and English music like pop, rock, ska, latin pop, r & b, rap, dance. Radio Juvenil station proactive, creative, innovative and current. It is one of the most famous online radio station on Nicaragua.